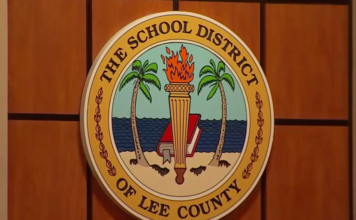 The Lee County School District is on the defensive Thursday after an audit was released, questioning the Districts spending of nearly $14 million in taxpayer money. It’s one of 15 findings from the State Auditor General. The 50-page report, which you can read here, questions the district’s use of impact fees. 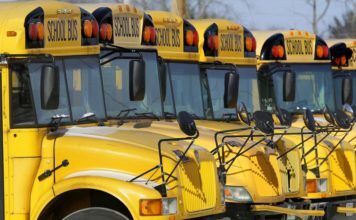 “District records did not always evidence that impact fee proceeds were used only for authorized purposes, resulting in questioned costs of $13.6 million,” the audit says. The report also shows that nine volunteers at Tice Elementary entered the school without proper background checks. Parents say the findings are crazy. “It’s just it’s scary. I mean you don’t know who’s gonna be watching your children,” one parent said. Now, the Superintendent Dr. Greg Adkins and members of Lee County schools are defending their spending. “Repaying the debt of schools that we built a few years ago to meet growth at that time, and people who are moving here and living here today, and their students attending those schools absolutely… meets every statute and case law for those impact fees and how we’ve utilized those,” Adkins said. But beyond that, it’s the timing of the report that seems to stand out most to Dr. Adkins. “I am concerned about the timing of this and when it lands and people paying attention to headlines that could change opinions, rather than really getting the facts,” Adkins said. In November, voters will decide whether to give more tax money to schools with a half-cent sales tax referendum. WINK News asked how taxpayers can trust that the district will spend the sales tax properly if the vote does go through in November. “We spent that $13.6 million and impact fees the proper way. And we will spend any sales tax revenue that we received absolutely the proper way,” the District said. You can read the District’s response to the audit findings here.